This is going to be a purely English blog entry for the sake of time and sake of every detail being expressed correctly.Â I want to explain why it has been so long since I last updated. In short, my mom tragically died on Sunday, September 21, when she fell from our attic.Â She was only 50 years old and was in perfect health.Â It was a pure accident.Â It’s been a very difficult time in my life as you might imagine.Â It’s truly the hardest thing I’ve ever had to endure.Â But my mom was a very positive person and always smiled…she taught me to do this well.Â And so I am focusing on the happy memories and all the wonderful things she taught me.Â I’m taking her with me everywhere I go. I returned home to the US for a week and a half to be with my family and friends.Â Eventually, my dad and my brothers encouraged me to return to Madrid to finish out my semester.Â We decided as a family that it would be the best decision for me and that my mom would want me to finish out this experience, which took a lot of hard work to set up.Â So I built up some courage to make the difficult move; and with the support of family, friends, and community on both sides of the Atlantic, I find myself now back in Madrid. Having missed two weeks of classes, you can imagine how far behind I am.Â But I am doing what I can to get caught up, while taking care of my other needs like hanging out with friends and having fun.Â Balance is definitely KEY right now for me!Â Next week is going to be crazy as I have a quiz, 3 midterms, and a 7-page paper…Yikes!Â But I am confident that I can do ok and salvage my semester…I’m dedicating my academic experience to my mom!Â So naturally I want to make her proud with my academic effort. I’ve been in Madrid since Thursday, October 2, and mainly I’ve been doing homework, hanging out with friends, and chilling around the city.Â It has been relatively relaxed, which I need since the stress of being behind is sometimes present.Â After this crazy week, I am planning on traveling to Leon to see the city as well as visit a good friend of mine from the States who is studying at la Universidad de Leon.Â It should be fun. Got to go study now for International Finance…tough tough class!Â I’ll update soon! 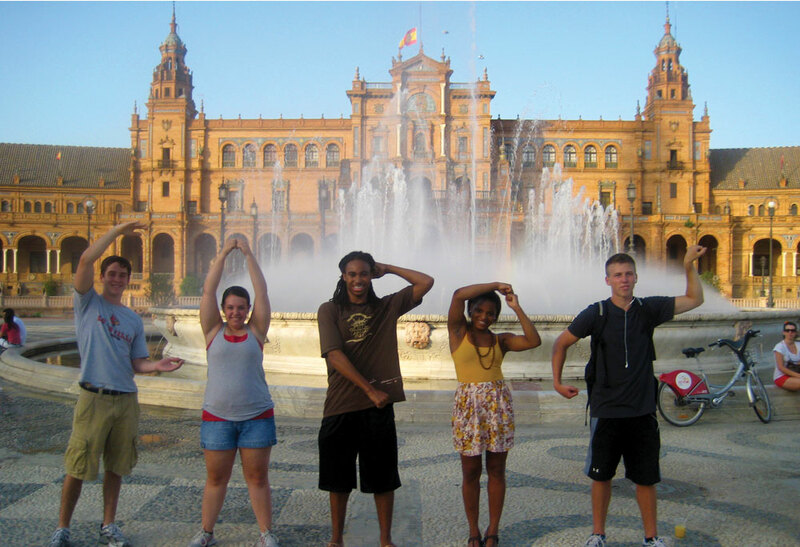 This entry was posted in Study Abroad by Alex. Bookmark the permalink. I came here to post, and I read your post. I am so sorry to hear about your loss, and though I donâ€™t know you personally, you are in my thoughts and prayers desde acÃ¡, en Argentina. Estoy impresionada con tu VALENTÃA y coraje por terminar tu semestre. Espero que la perspectiva de la vida que surge de un estudio en otro paÃ­s te apoye en este tiempo. As someone who has had a very sick family member once while away at college, make sure to make space and time for your feelings and yourself or ultimately, those feelings will demand your attention at an inopportune time and make space for themselves and wonâ€™t allow you to work â€“ like when you need to write a paper! Â¡QuÃ© te cuides bien!